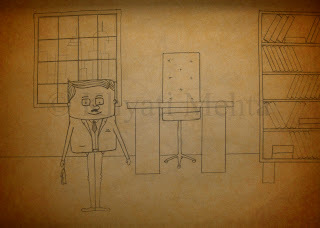 Modelled the lamp on my own but the toy next to it is from the bedroom scene. 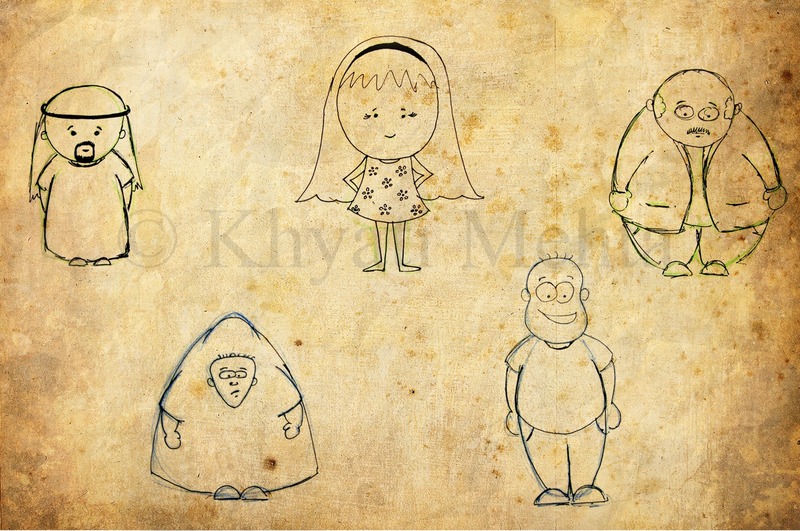 Modelled and Textured on my own. 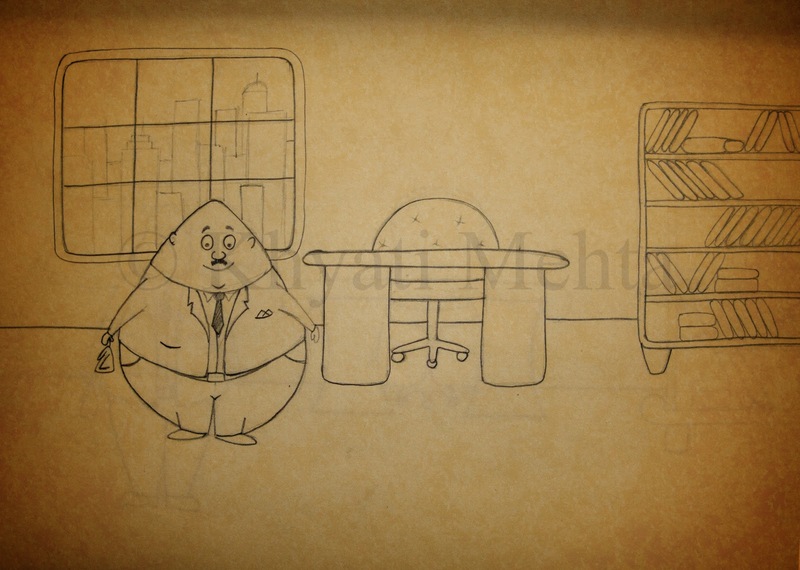 Tried very hard to get the caustics properly. 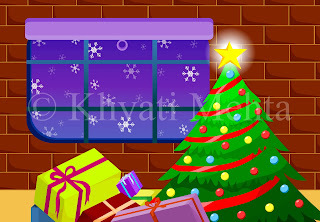 This was my first indoor lighting. 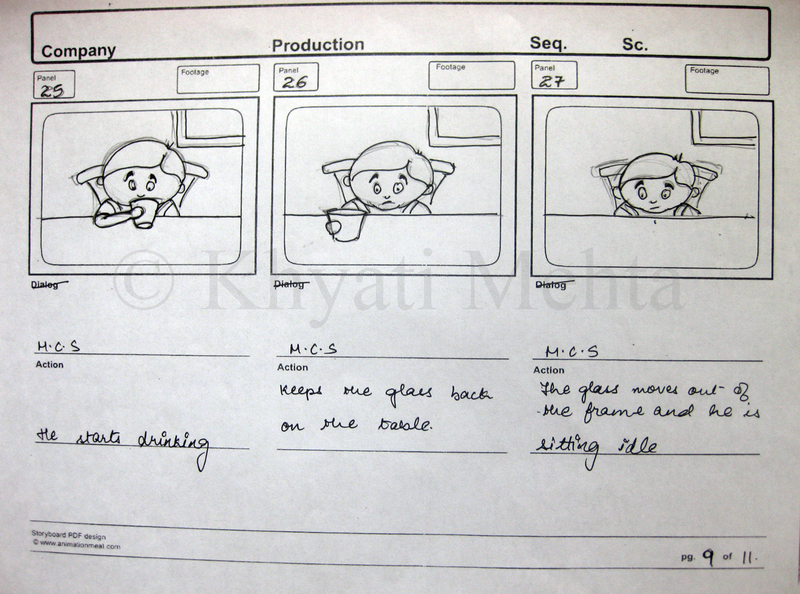 This was my first lighting assignment. 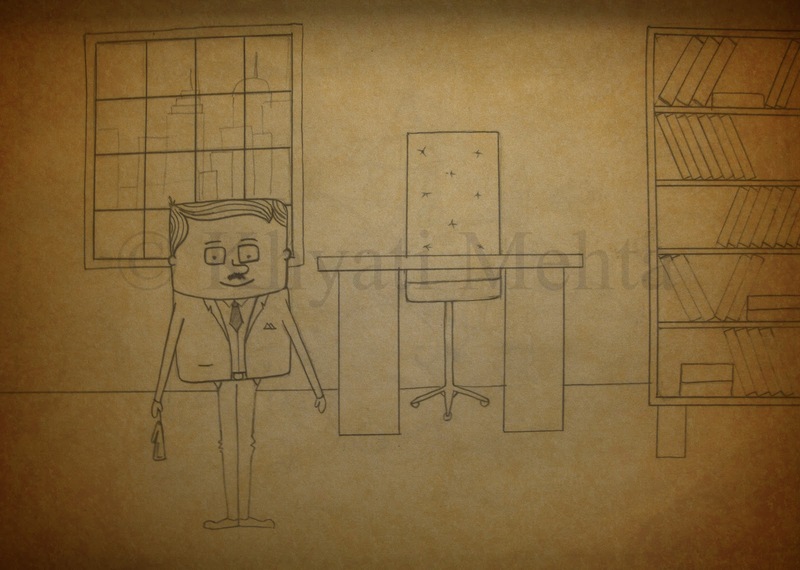 Modelled and Textured by myself. 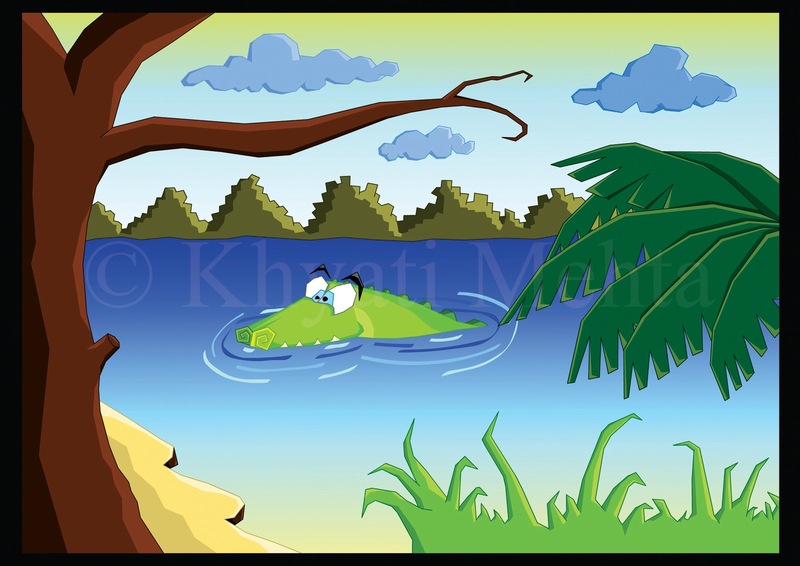 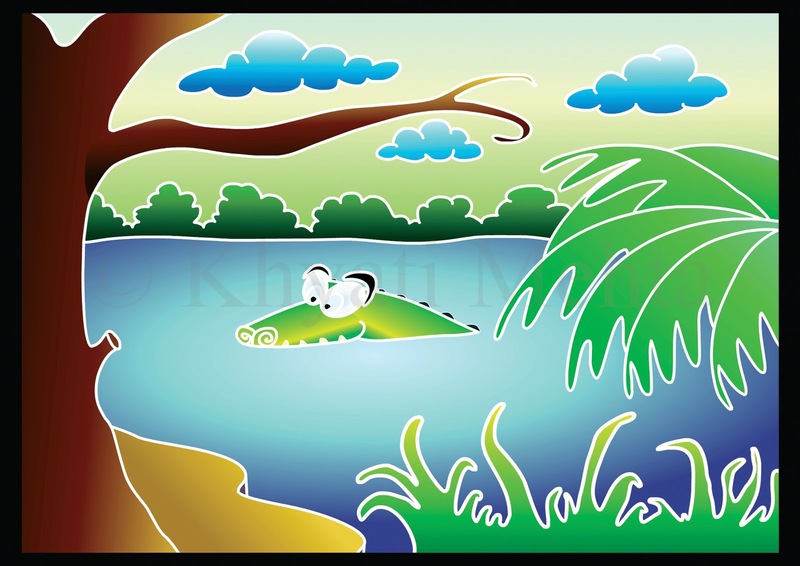 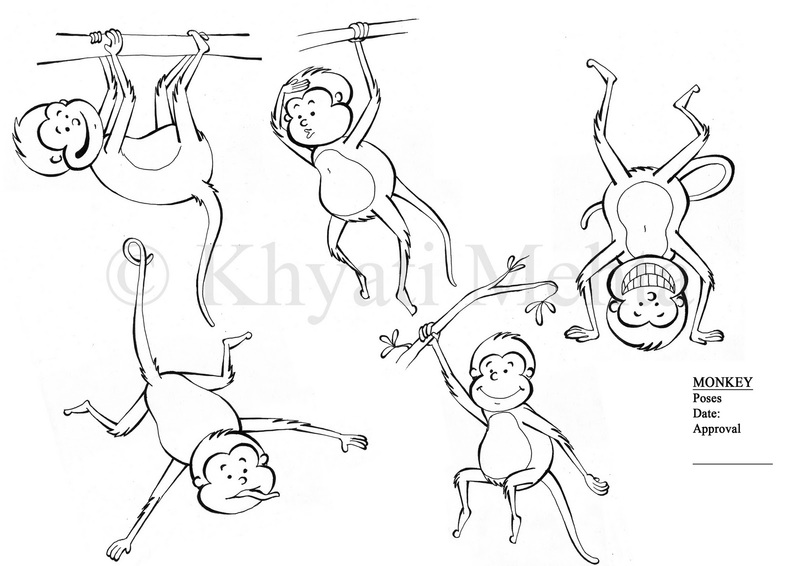 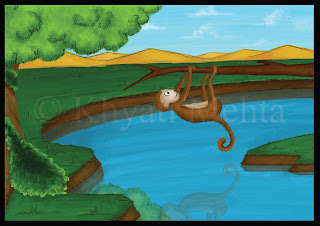 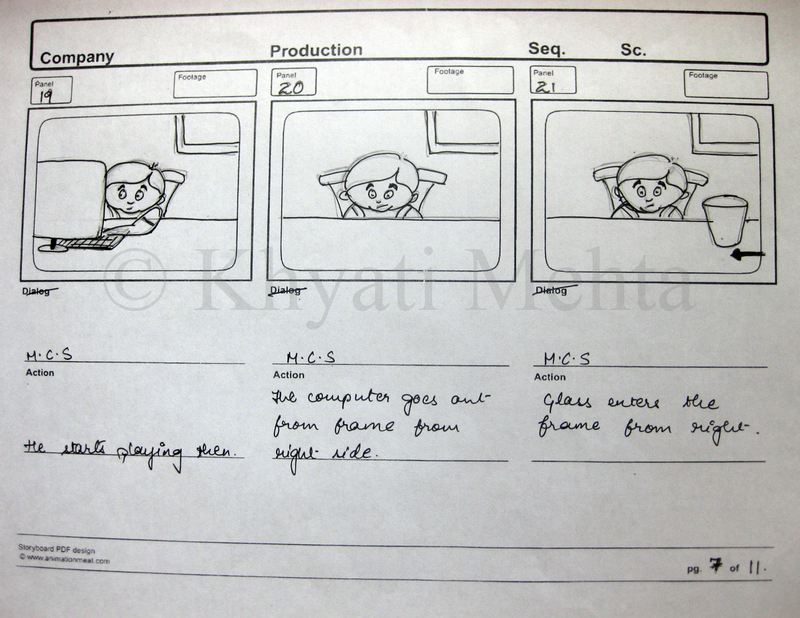 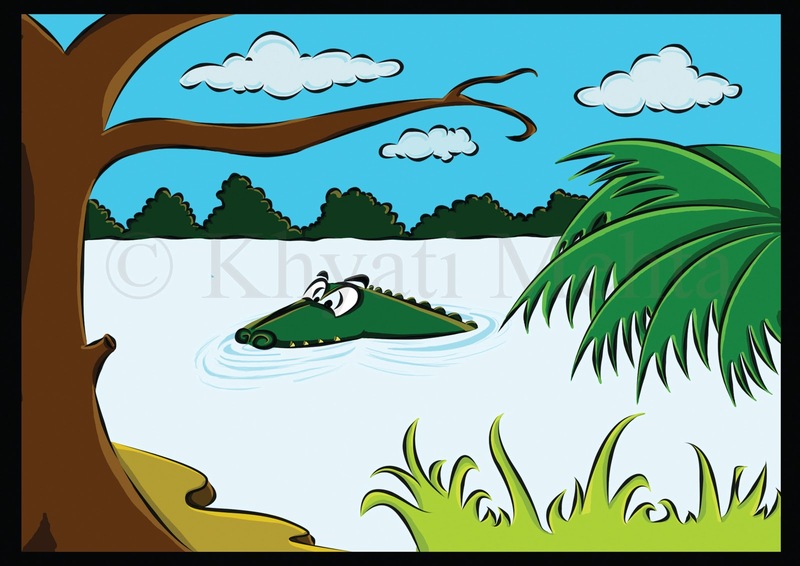 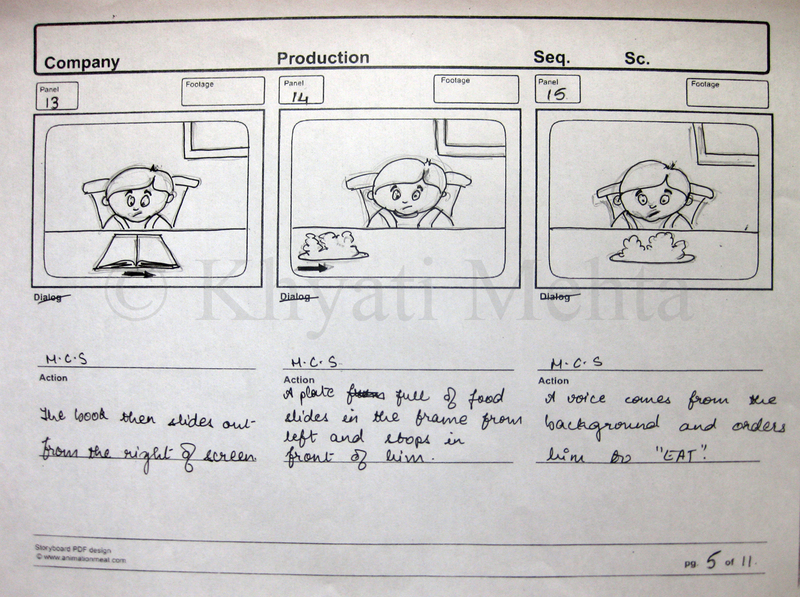 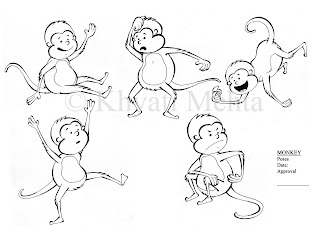 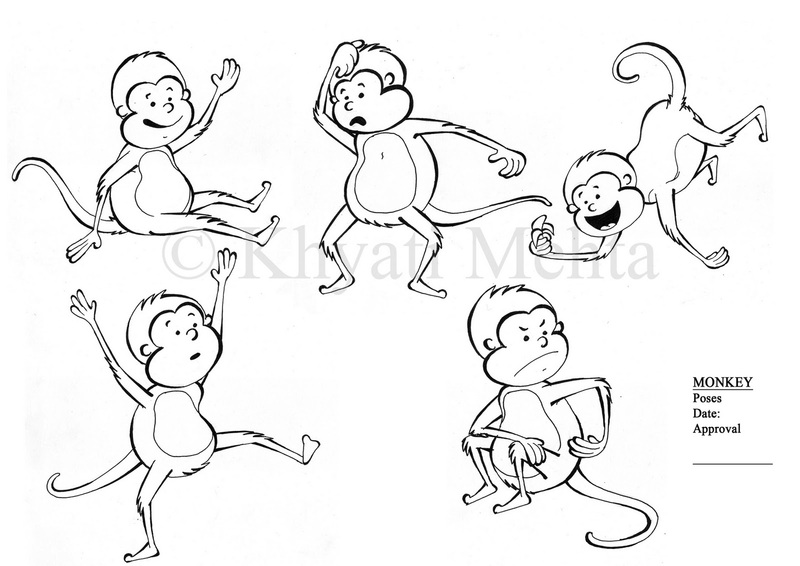 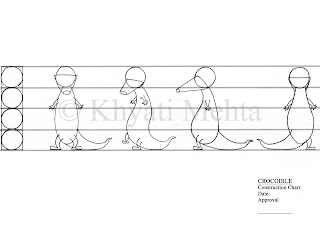 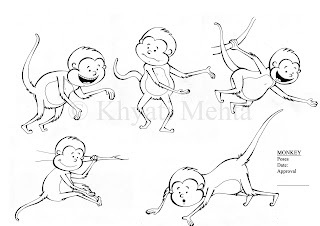 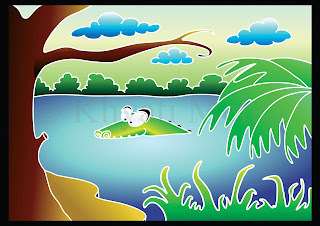 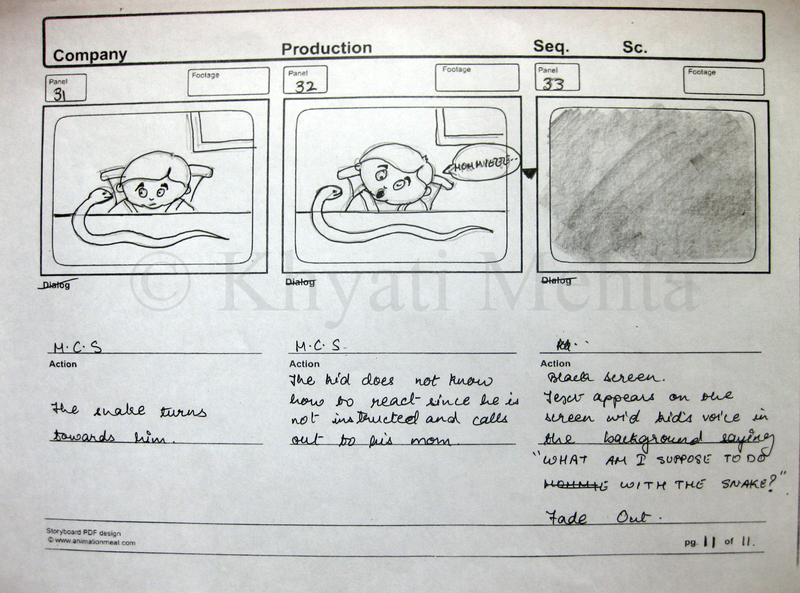 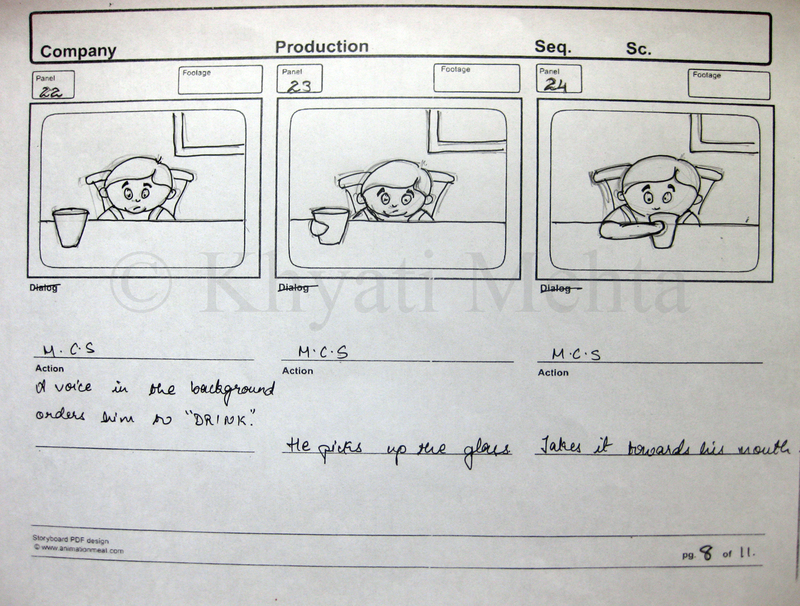 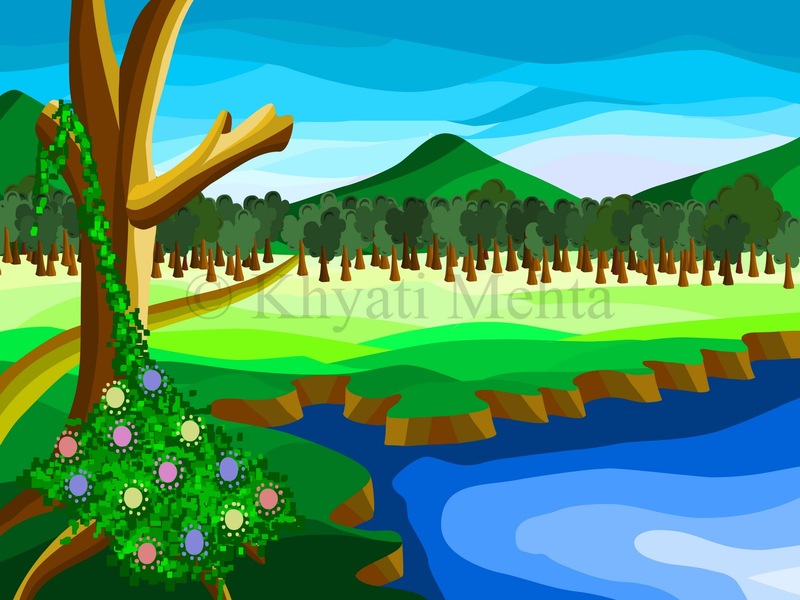 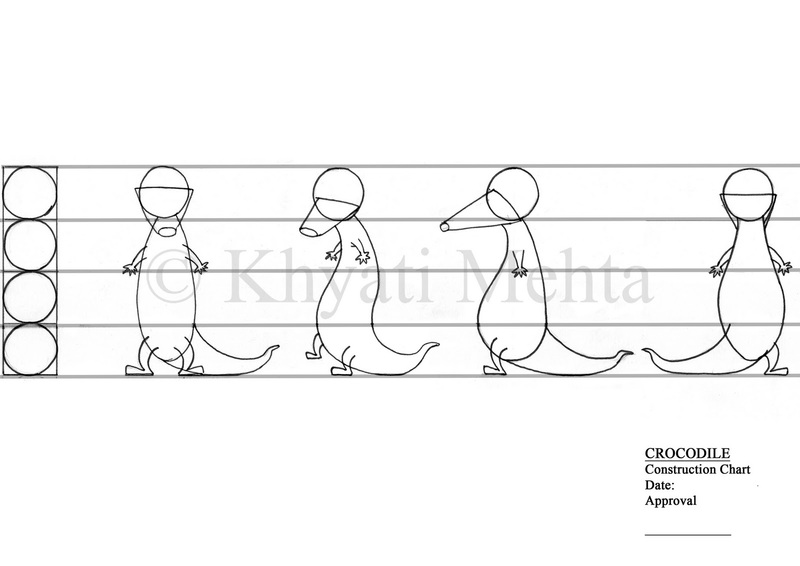 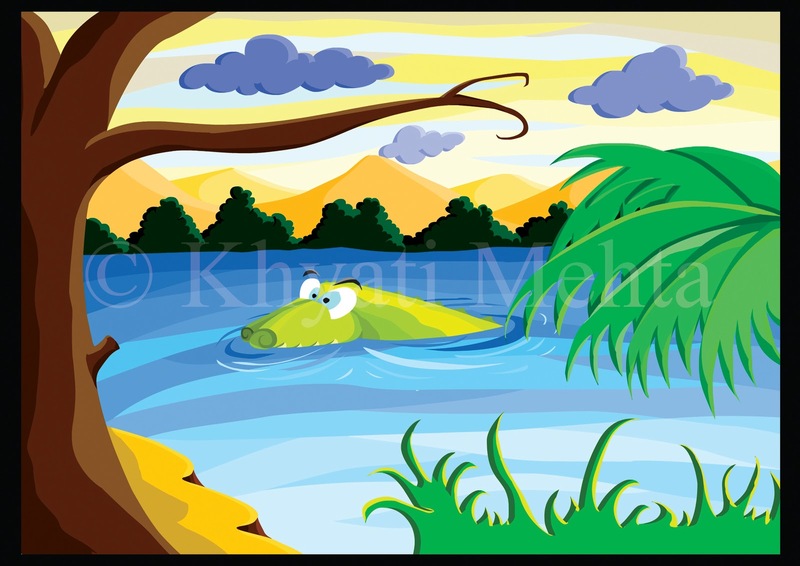 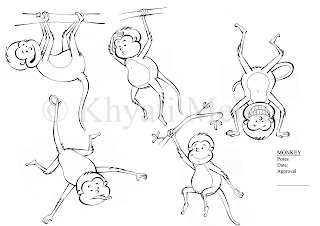 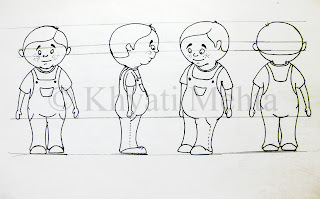 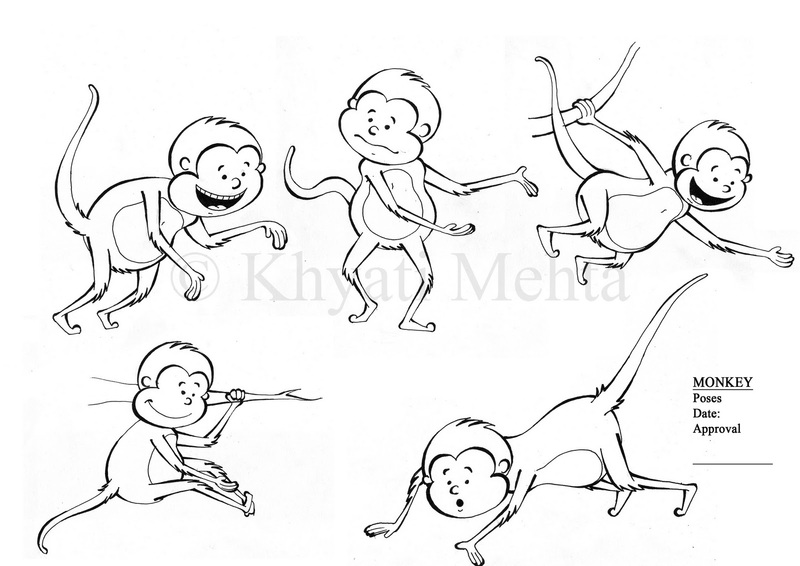 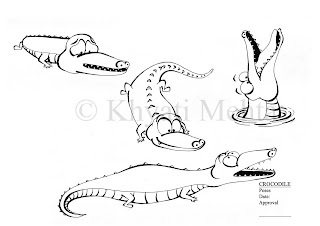 Animatics - The Monkey and the Crocodile from Khyati Mehta on Vimeo. 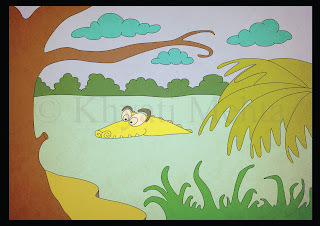 This is an animatics I did for the story of The Monkey and The Crocodile. I scanned my storyboard panels and later cropped them and digitally painted them roughly. 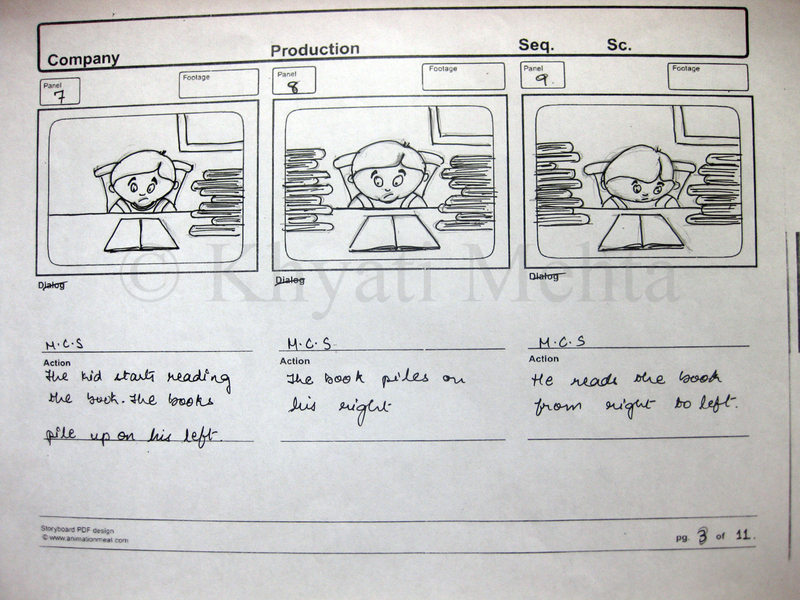 For the voice over one of my college friend helped me record the dialogues. 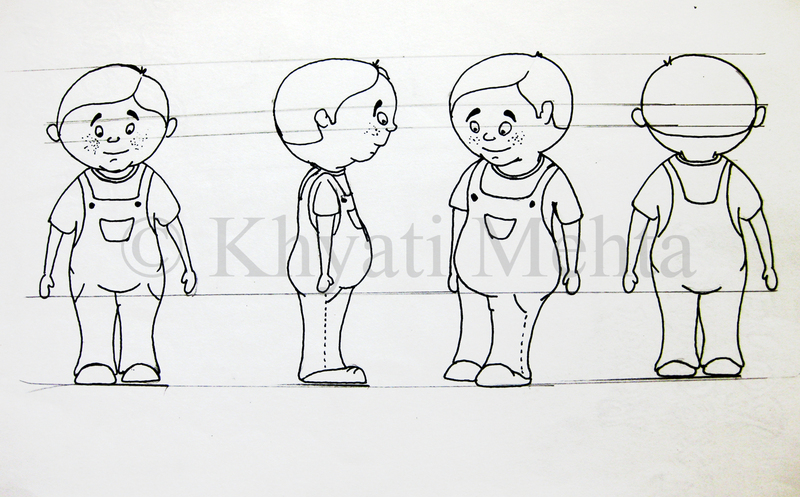 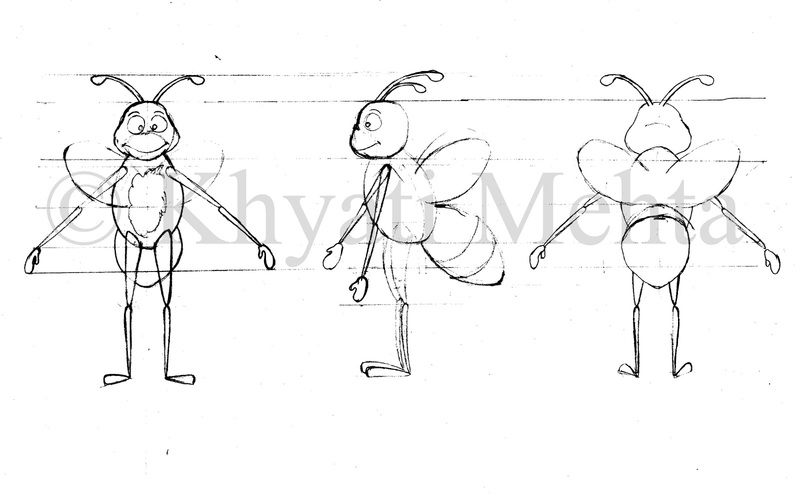 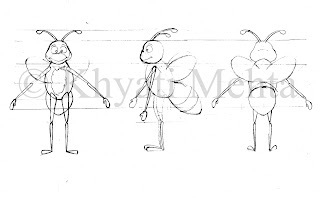 The softwares I used to do this animatics are:- Adobe Photoshop CS5, Live Type (Mac), Adobe Premiere Pro CS5. 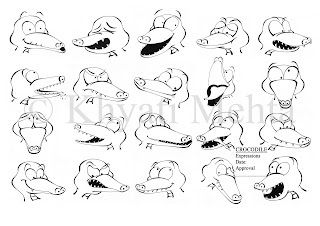 A few concept arts I tried for the story of the Monkey and the Crocodile. 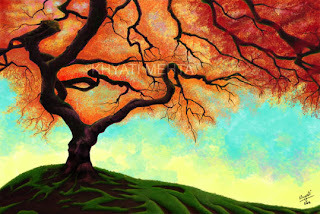 All are digitally painted either using Flash or Photoshop. 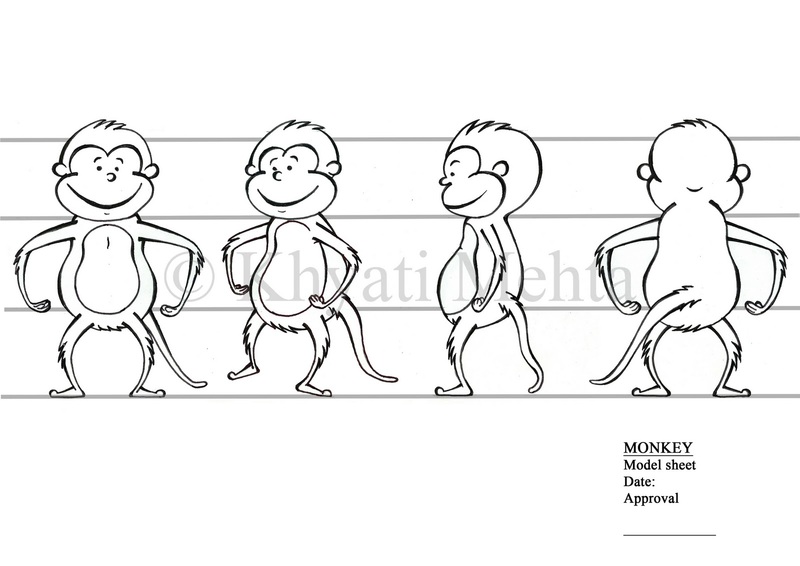 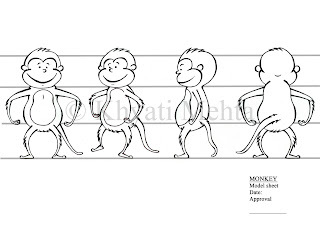 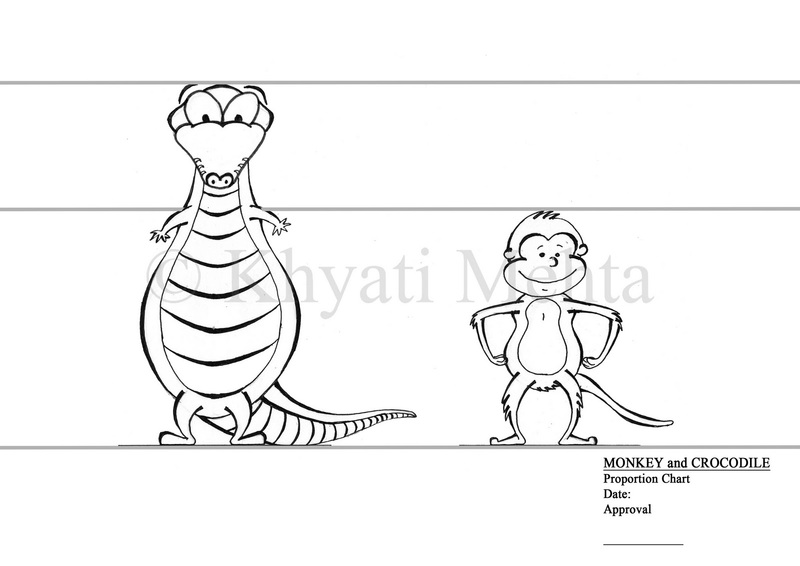 Proportion Chart of the characters - Monkey and Crocodile. Different poses for the Crocodile. 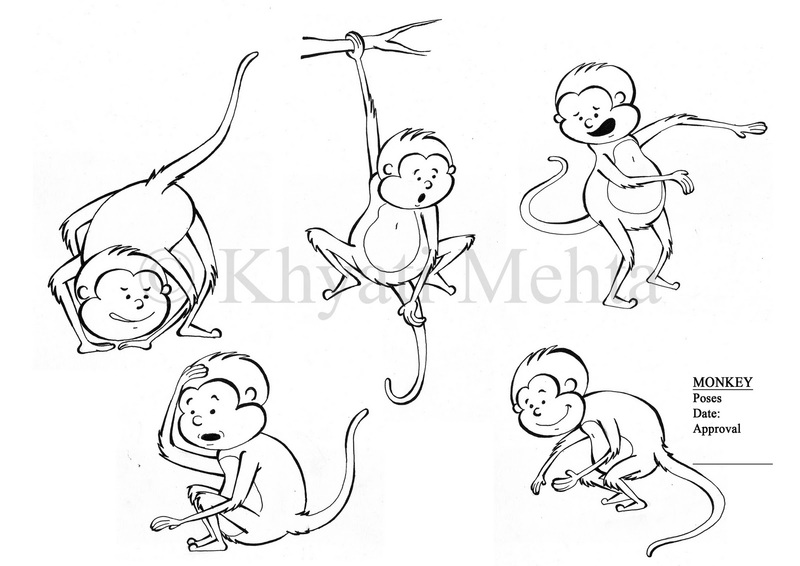 Different different poses for the Monkey. 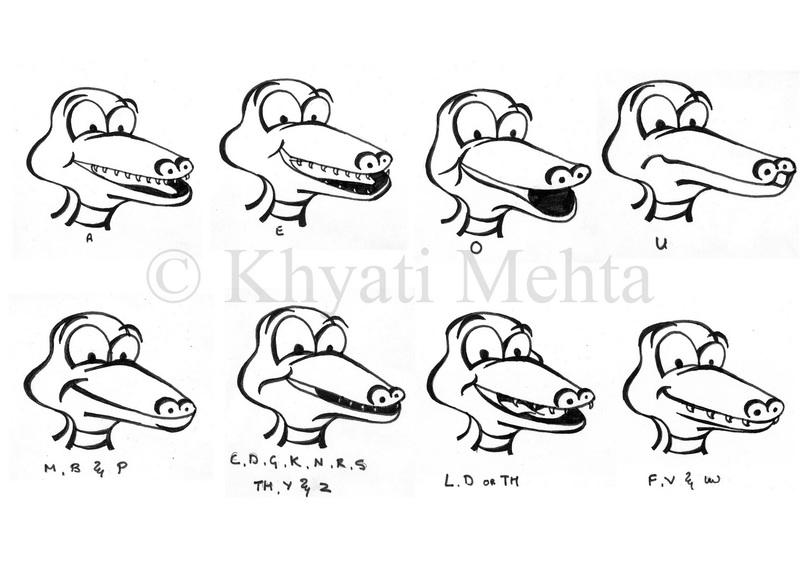 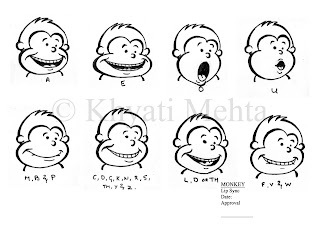 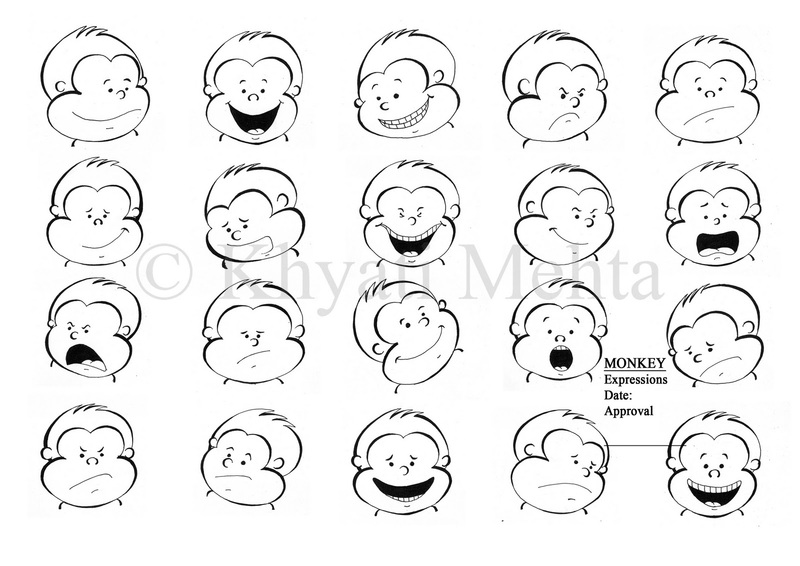 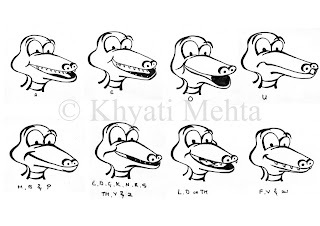 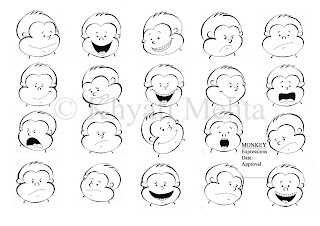 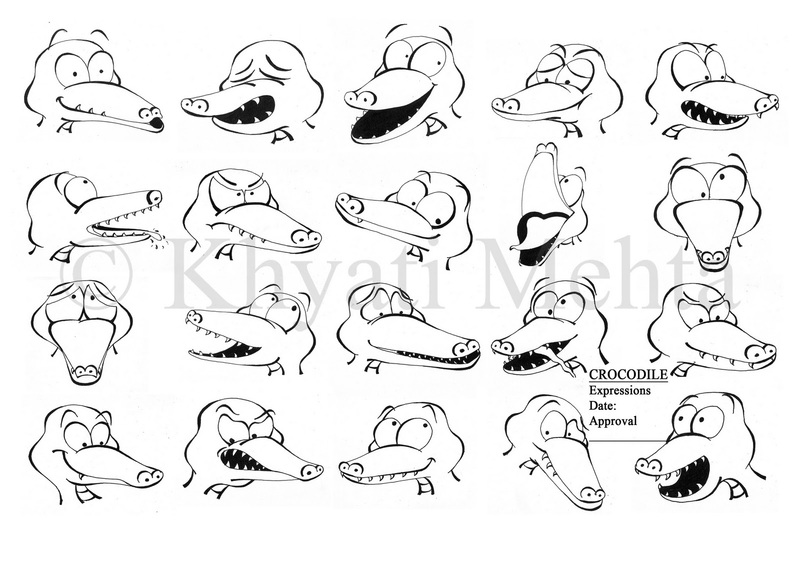 The expression chart for the characters - Monkey and Crocodile. 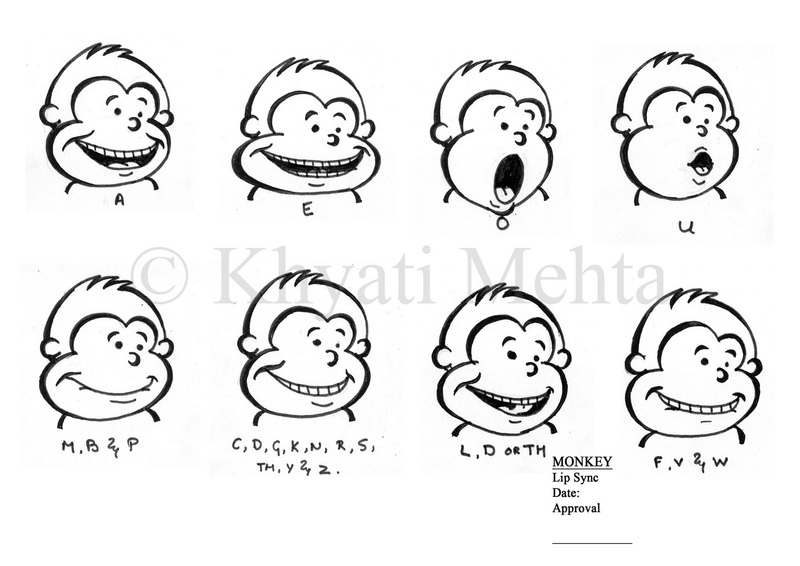 The lip sync chart for the characters - Monkey and Crocodile. 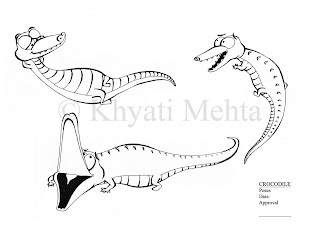 Have done the inking too. 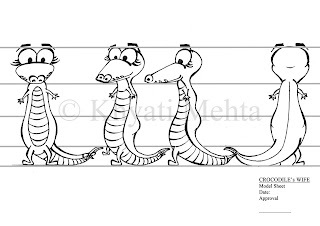 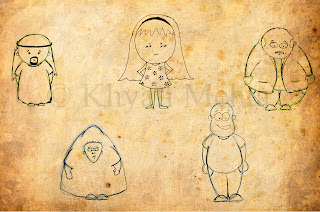 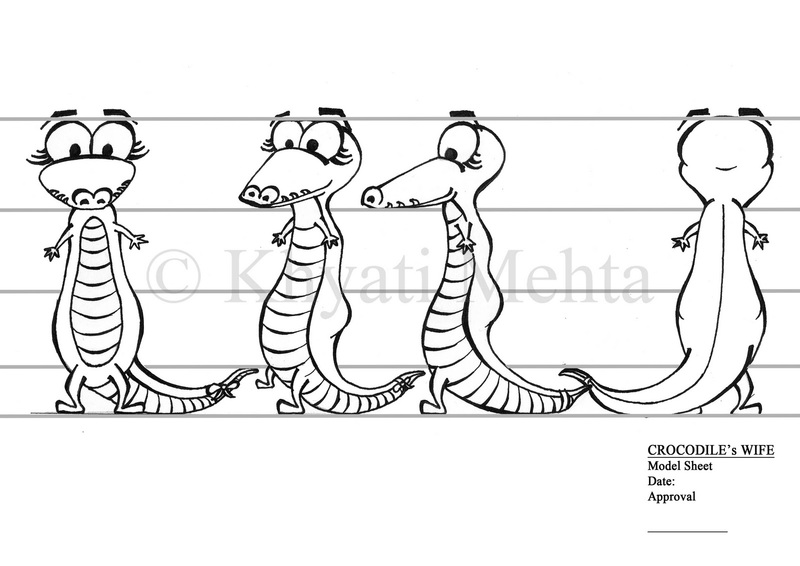 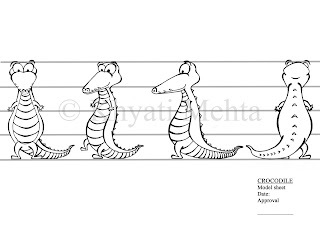 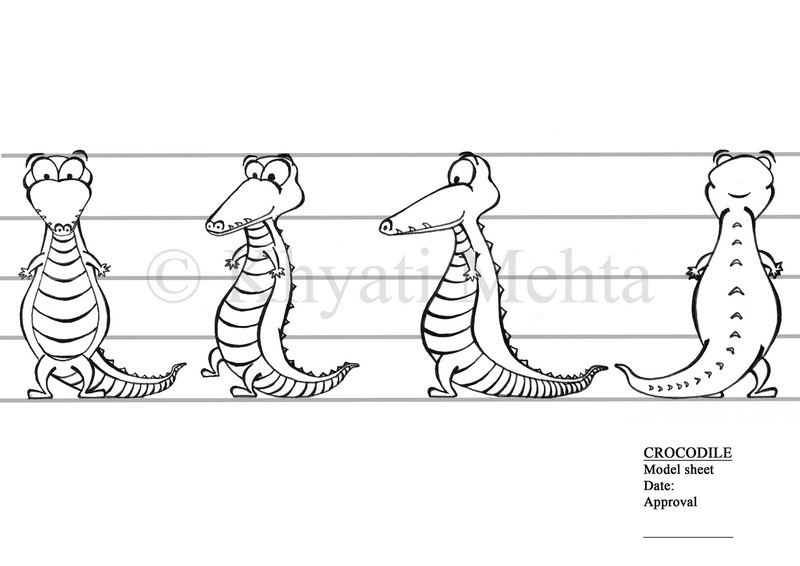 The model sheet for the characters of the story - Monkey, Crocodile and Crocodile's Wife. 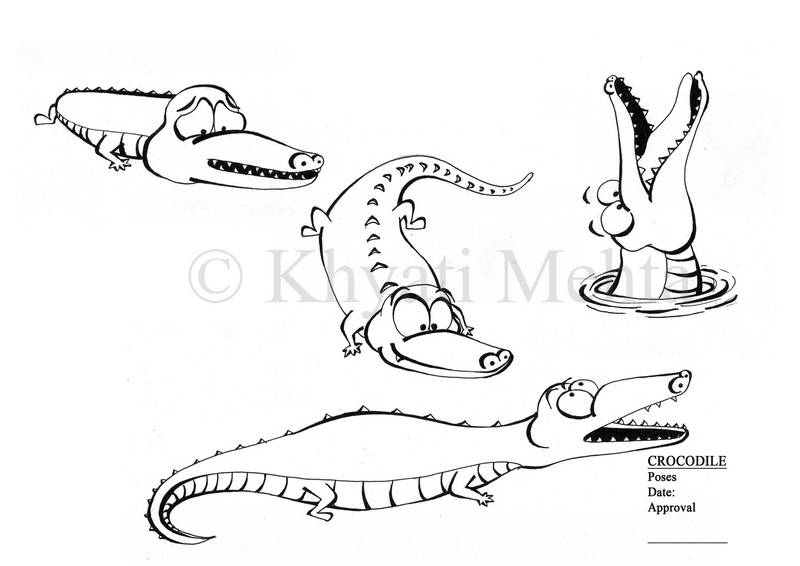 I also did the inking for all the sheets. 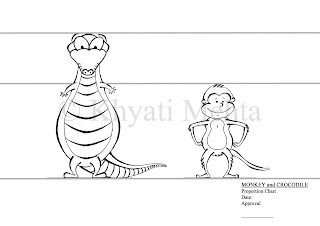 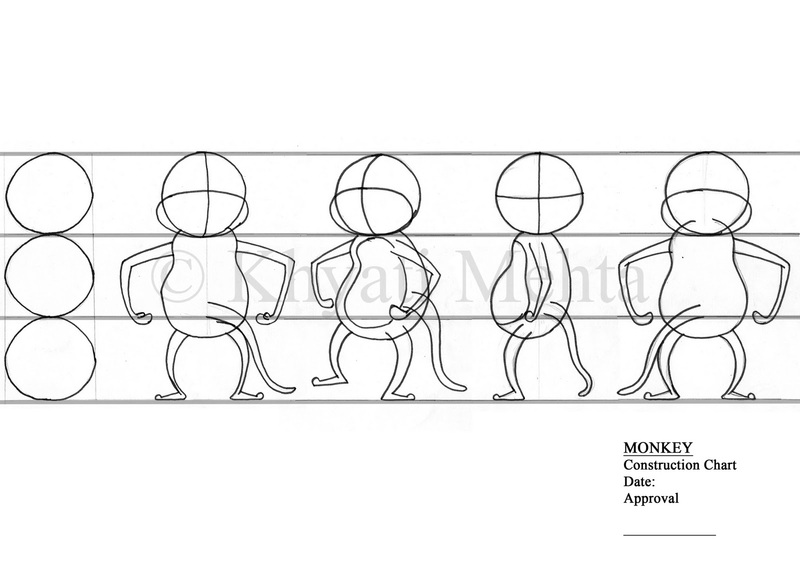 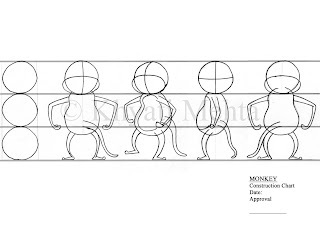 The construction chart for the characters - Monkey and Crocodile. 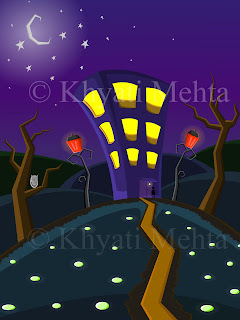 Took lots of time to finish it but really enjoyed working on it. 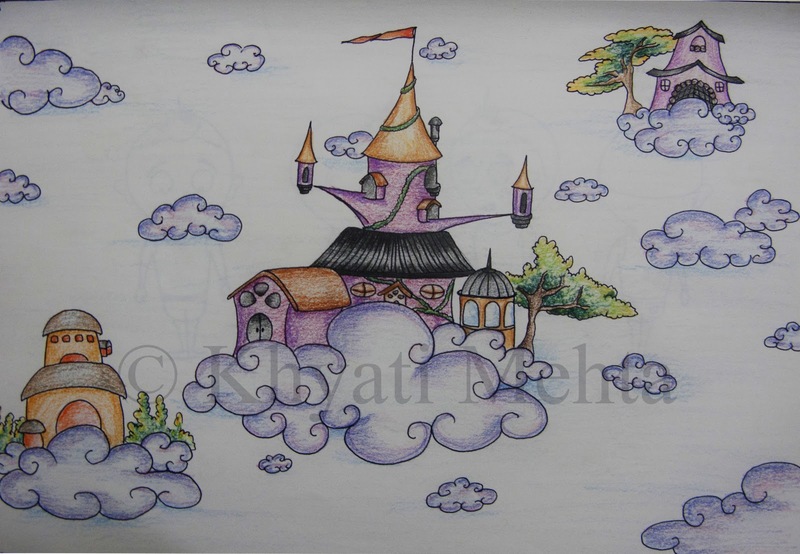 I had taken a photograph as a reference for this one,but it turned out to be totally different to what the actual picture is. 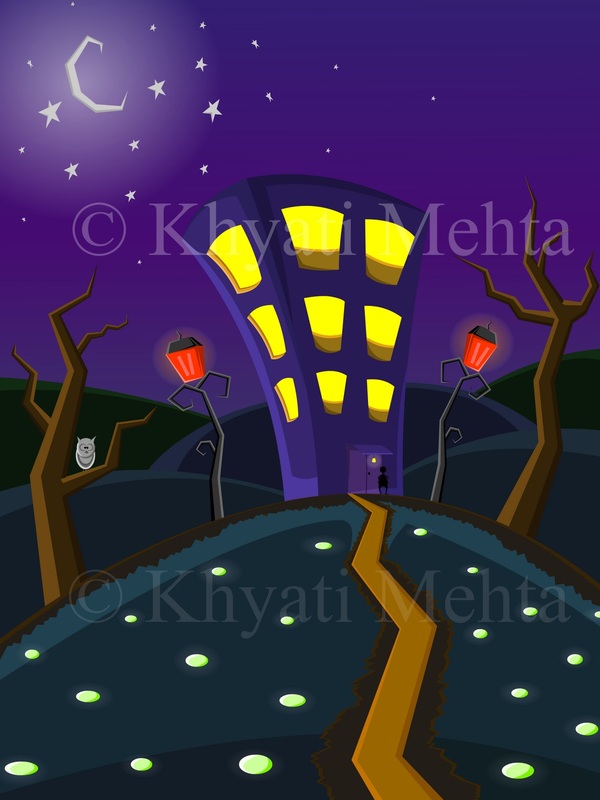 This was my first background in flash and I had designed it on my own. Had done this background for one of my 2D project. 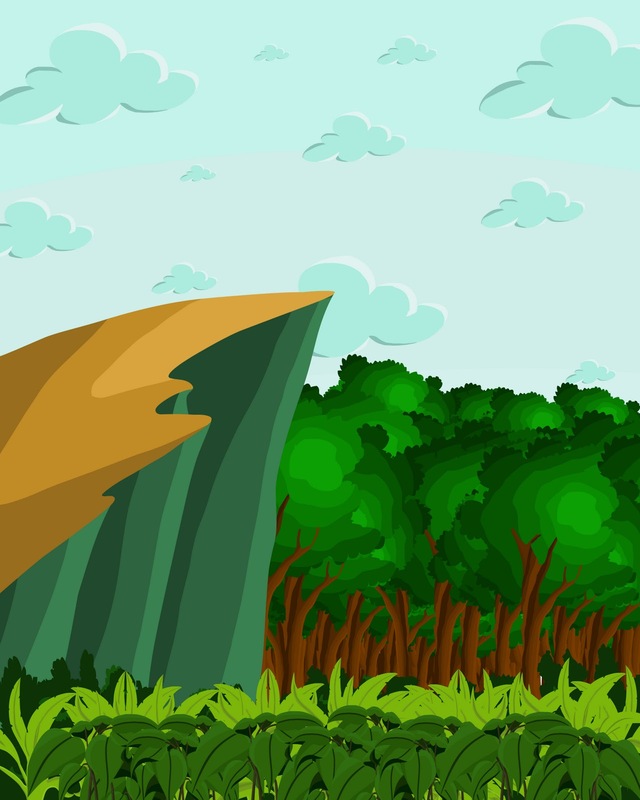 A background done using Flash. Digitalised one of my old manual painting using Flash. 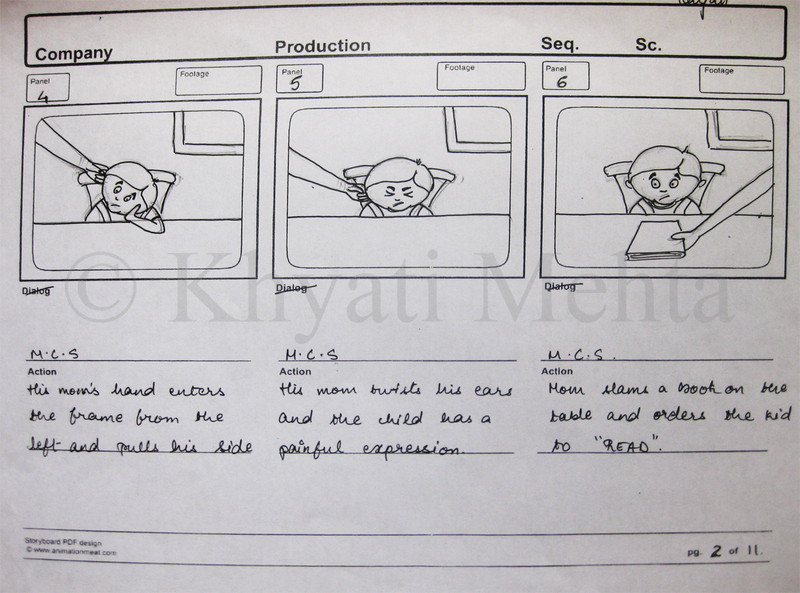 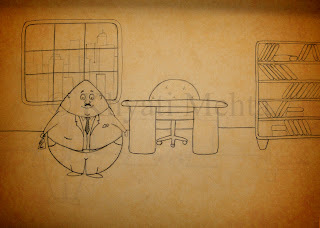 I did this layout during a Pre-Production class. 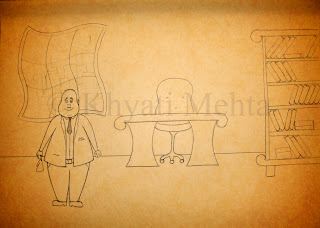 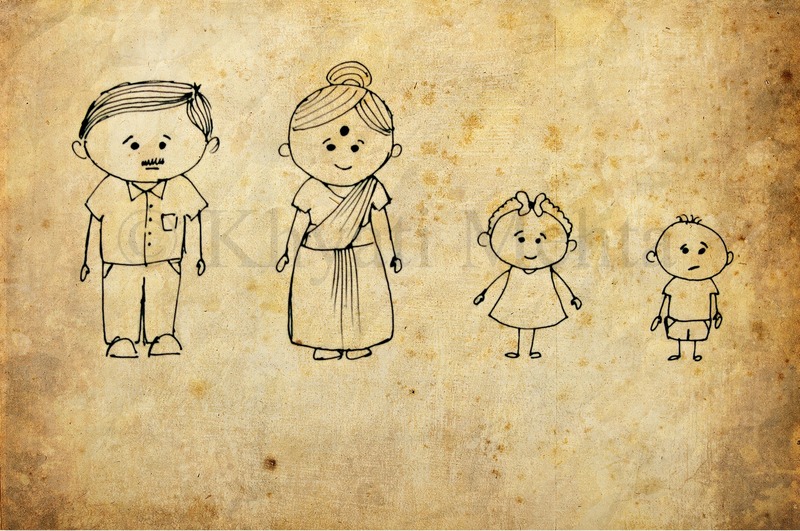 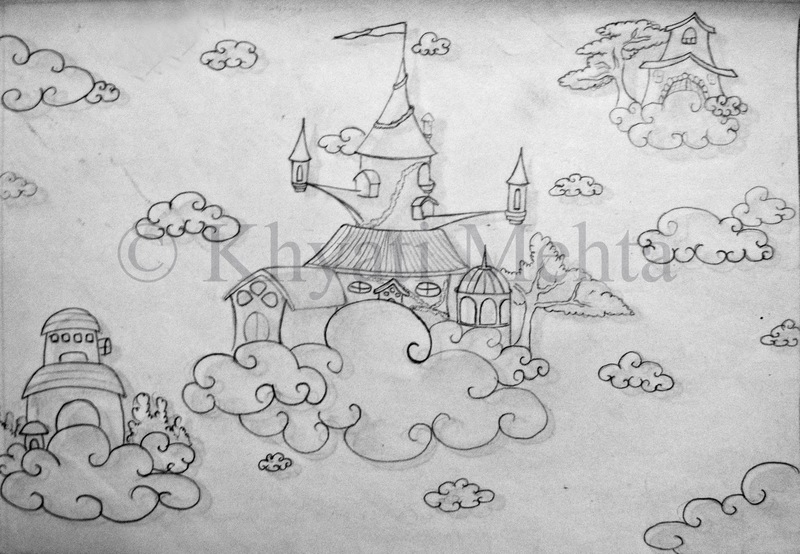 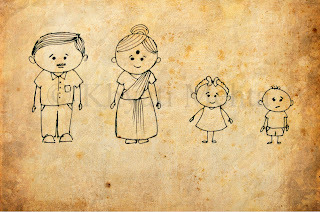 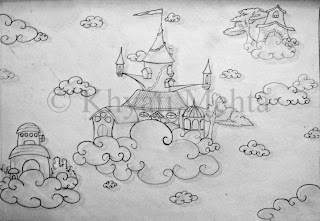 Initially i had just done the rough sketching of it and later after few days thought of adding some colors to it. 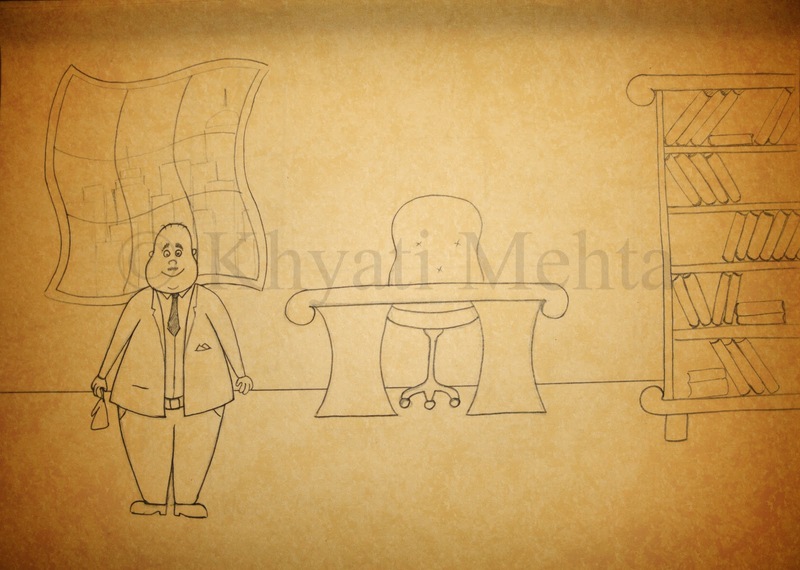 Just tried different styles using the same background.